I’ve been personally blogging since 2012, but it’s taken me awhile to follow my real dream, having my own travel blog. Third time’s a charm, they say. I revamped and started Travel for Stamps anew in July. When I was nominated, I had no idea what the Liebster Award was. So, I did some searching and came across the Official Rules of the Liebster Award 2017 and read up on the origins and purpose of this blogger award. You can also get images to use for your site when you’re nominated. The Liebster Award was created by bloggers for bloggers. You are chosen and nominated by a fellow blogger and you return that favor by thanking the blogger who nominated you and then nominating 5 bloggers with 200 readers or less. 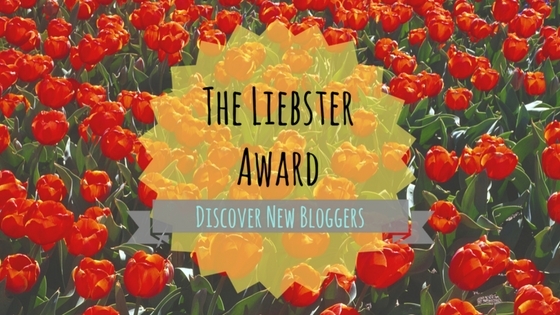 As the blogging community has evolved, so has the Liebster Award. I would like to thank Jenn of Joyful Lane for nominating me for this blogger honor! I’m slowly trucking along this blogging journey and was wonderfully surprised to be selected. Without futher ado, here are my answers to the 10 questions asked by Jenn. Below my answers will be my nominees, their questions to answer, and the rules for the award. This is always a tough question for me because I’ve fallen for a lot of places I’ve been to. I still love Spain, but my trips to Paris and Mykonos have captured my soul. Hmm…the jury is still out! 2. What is your blogging niche? Travel for Stamps is a blog focusing on travel related content. I struggled with my blogging niche. The blog is obviously about travel, but WHAT about travel? And that’s where I think I got hung up and why it was such a struggle for me to get started. I want this travel blog to offer up useful information to readers and not just be a journal of my trips. So, I guess you could say my niche is travel information, tips, and planning. 3. What is the best memory you have while traveling? In the summer of 2008, I studied abroad in Malta through a South Texas School of Law program. While I was there, I decided to get my scuba diving certification. Who wouldn’t want to learn how to scuba dive in the Mediterranean Sea? The water is breathtakingly beautiful. While underwater on my first dive, it dawned on me that I was completely submerged and surrounded by the clearest water I’ve ever been in, watching wildlife. It’s still the most surreal feeling I’ve had. To be completely underwater, with the silence of the sea…it was amazing. 4. If you could take one more trip, where would you go? Iceland or New Zealand. I’m a nerd, so New Zealand is on my list solely so I can go to Hobbiton and fulfill my Lord of the Rings fantasy. Superman or Iron Man so I can fly anywhere in the world. 6. What is your favorite book or series? Harry Potter. No need to even discuss. Best book series and movies ever. 7. Would you rather explore the deep ocean or outer space? Space. What’s really out there? 8. Have you ever visited a place just because you saw it in a book/series/movie? What was the place? Prague has been on my list of places to visit ever since I saw Chasing Liberty with Mandy Moore. I was enthralled and I’ll be fulfilling that dream of going to Prague this year. 9. Dog Person, Cat Person or both? I’ve always been a dog person, but people always think I’m a cat person. Maybe they’re right. I really do need an animal that’s self sufficient. Cats fit the bill! 10. If you could go to dinner with one person who would it be? Queen Nefertiti. I’m fascinated by history, especially that of ancient Egypt. Here are the 10 questions for my Liebster Award nominees. What is your fondest memory from your travels? What are the top 3 places you want to go that you haven’t been to yet? What advice would you give to someone who wants to start their own blog? Congratulations and can’t wait to read all your answers! Thanks for the nomination! You have a beautiful blog with great organization and features! I am honored to be nominated by you! You’re welcome and thank you! Be sure to come back and leave a link to your Liebster Award post.